Found 36 blog entries for November 2015. Monday, November 30th, 2015 at 9:53am. Thanksgiving evokes certain unshakable images: Long tables crammed with too much food. Beloved and bickering family members consuming way too much of that food. Overstuffed family members staggering away from the table to watch football. And once the crumbs and turkey bones and cranberries are cleared away, just about everyone gearing up for the biggest shopping day of the year: Black Friday. Welcome to The Cascade Team Tony Lindsay! Wednesday, November 25th, 2015 at 8:41am. We are happy to welcome Tony Lindsay to The Cascade Team! Tony was referred to us by Rob Darling and will be working out of our Issaquah Office. A little about Tony: Tony has been a licensed broker since 1979. He enjoys helping people realize their dream of home ownership. He also worked in the cargo shipping industry for 30 years as a manager of operation. He loves to play sports and has three children. Tony will be a wonderful addition to The Cascade Team and we look forward to seeing his success! Wednesday, November 25th, 2015 at 7:40am. 1. FACT OR FICTION: IN 1863, ABRAHAM LINCOLN BECAME THE FIRST AMERICAN PRESIDENT TO PROCLAIM A NATIONAL DAY OF THANKSGIVING. 2. FACT OR FICTION: NATIVE AMERICANS USED CRANBERRIES, NOW A STAPLE OF MANY THANKSGIVING DINNERS, FOR COOKING AS WELL AS FOR MEDICINAL PURPOSES. 3. FACT OR FICTION: ONE OF AMERICA’S FOUNDING FATHERS THOUGHT THE TURKEY SHOULD BE THE NATIONAL BIRD OF THE UNITED STATES. 4. FACT OR FICTION: THE TRADITION OF PLAYING OR WATCHING FOOTBALL ON THANKSGIVING STARTED WITH THE FIRST NATIONAL FOOTBALL LEAGUE GAME ON THE HOLIDAY IN 1934. Ready to check your answers? Tuesday, November 24th, 2015 at 12:47pm. Newly listed town home for sale in Phoenix near the Biltmore area by local real estate agent and Realtor Cynthia Thompson. If you are looking for other homes in the Phoenix area, be sure to check out our search page on our web site. You'll be able to to see all available real estate for sale in the Phoenix area. Be sure to contact Cynthia at 480.589.1946 if you have any questions or want to see any properties. 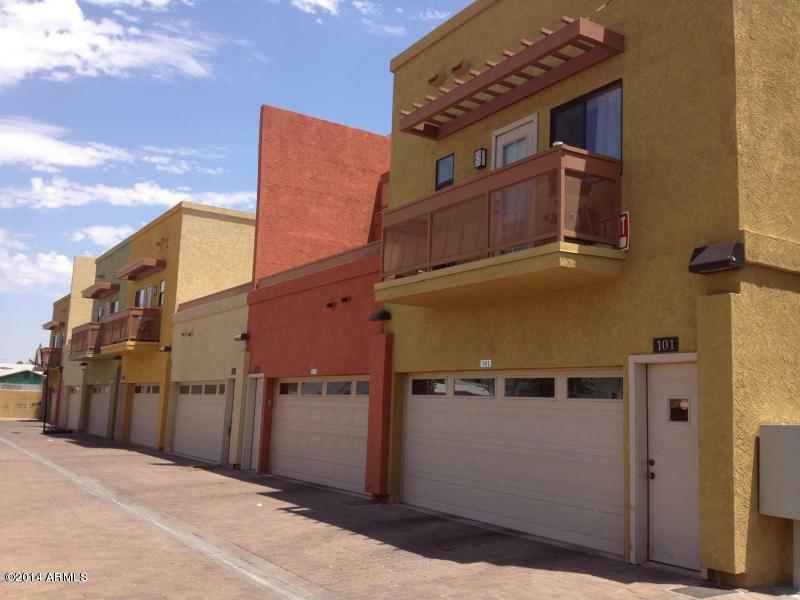 Welcome to Townhomes on 28th Street, a community of 8 modern town homes. Built with AAC-Crete walls, STEEL Framing, Low-E windows, and 13 Seer AC-all energy saving features! First floor includes: kitchen, great room, bath, 2 car garage. Second floor includes: 3 bedrooms and 2 bathrooms, laundry & balconies. Tuesday, November 24th, 2015 at 10:30am. Check out this move in ready Buckeye house for sale that just had a PRICE DROP to $200K. If you would like to see the home in person, contact local Realtor Del McArdle at 602.446.1800. To see more homes in the Buckeye area, be sure to check out our website. We have all currently listed real estate in Buckeye broken down by price point to make your home search more streamlined. If you have any questions, Del would be happy to help. Free Horse Drawn Carriage Rides in Issaquah This Saturday! Monday, November 23rd, 2015 at 7:28am. Enjoy Free Horse Drawn Carriage Rides in Gilman Village! While you are out "Shopping Local" in Issaquah, stop by our booth in Gilman Village and enjoy a FREE horse drawn carriage ride! If you would like more information on this event please call 425-313-4752. Ride the FREE Hop-ON, Hop-OFF Trolley! Saturday, November 28th from 11am-5pm. Highlands Council is proud to be a sponsor of the 3rd annual Shop Local Street Trolley! The trolley will run a loop from Blakely Hall, through Grand Ridge Plaza, Front Street, and Gilman Village. Hop on and hop off to shop local and then hop back on to head home! Friday, November 20th, 2015 at 9:44am. Thursday, November 19th, 2015 at 2:27pm. If You Can't Believe We Only Charge a 1% Listing Fee Then You'll Never Believe This! Thursday, November 19th, 2015 at 12:59pm. Guess who Cary ran into today right outside the corporate headquarters of The Cascade Team in Issaquah Washington..... Yep, Bigfoot himself; and even he could believe the amazing service along with savings provided by The Cascade Team! Thursday, November 19th, 2015 at 11:04am. The U.S. is nearing the 10-year anniversary of the 2006-2007 housing bubble. Should Americans be worried that history could repeat itself? After all, home prices have risen above the bubble era in many hot markets like Seattle, Denver and San Diego.